Mexicali, Mexico-based budding beatmaker/DJ Siete Catorce brings the late night vibes in this new video for this song Adiós, directed by Alonso Celma & Aldo Pérez. New Mala video featuring Danay Suárez off the Mala In Cuba Noches Sueños EP out now on Brownswood Recordings. Video directed by Léa Rinaldi. Chancha Via Circuito AKA Pedro Canale drops his new free EP ‘Semillas’ and whimsical short story to go along with it. Chancha is one of the emerging producers out of Argentina combining native latin american rhythms with electronic sounds. This new EP is part skank vibration, part latin psych and part meditative in a minimal vibe. 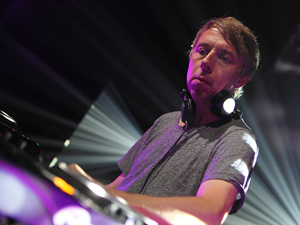 Just in time for worldwide DJ and BBC Radio 6 Music Show presenter Gilles Peterson’s NYC gig at NYC’s Le Poisson Rouge tonight, come’s this mix of smoothed out tunes. Could this new smoothed out track by Ana Tijoux from her album ‘La Bala’ out on Nacional Records mean a global neo-soul revival is in the air? Let’s certainly hope so, in the meanwhile this one’s on heavy rotation. Peep the video filmed in Medellin, Colombia and directed by B+ of the L.A. based Mochilla crew. Check out the new tune from Mala, ‘Cuba Electronic’ from the forthcoming album project titled Mala In Cuba out on Gilles Peterson’s Brownswood Recordings September 10, 2012. The sights are from Mala’s trip to Havana in April 2012.